Medical Computing - Kitware, Inc.
Our medical computing team develops algorithms and custom software for researchers, product developers, and clinicians. To do so, we partner with universities on grants from the National Institutes of Health and with commercial companies on product development. We have worked with the University of North Carolina at Chapel Hill, for example, to develop a novel ultrasound-based approach to cancer detection and diagnosis; Brigham and Women’s Hospital to create 3D Slicer; and SonoVol to build an imaging system for high-throughput longitudinal animal studies. We also have a long history leading and contributing to open source platforms that serve as the foundation of many medical visualization and data processing tools. We were one of the original creators of the Insight Toolkit (ITK), which is the industry standard for medical imaging applications. We also lead the 3D Slicer project. The applications we develop fuse multiple imaging modalities and robust algorithms to assist physicians before and during surgery. Our physiology simulation software, for example, can be used in virtual environments, training with manikins, and clinical research. Other applications include a technique for performing liver lesion biopsies and a system for analyzing craniosynostosis. 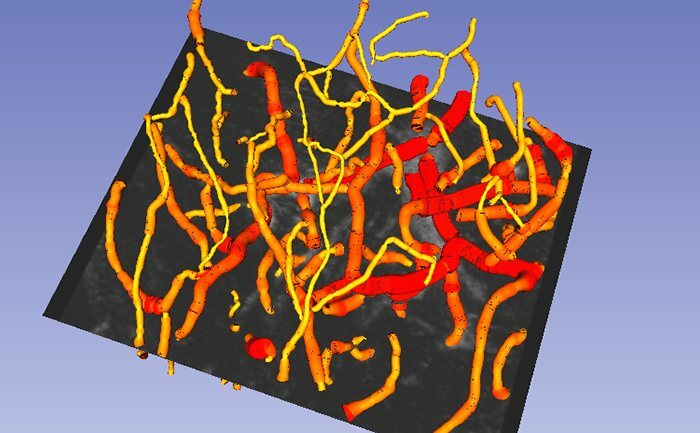 We have open source algorithms for vessel modeling, a computer-aided diagnosis system for research in acute stroke patients, and an approach that uses acoustic angiography to measure small changes in microvessels. We can suit these to other pre-clinical and clinical investigations, as well as to additional neurovascular conditions such as sickle cell disease, Moyamoya disease, aneurysms, post-traumatic stress disorder, and traumatic brain injuries. We drive pre-clinical research, pre-hospital patient triage, and post-hospital patient monitoring by developing systems for ultrasound image analysis. 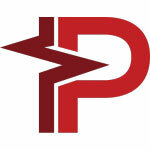 These systems integrate software applications with medical devices and other hardware. Our approaches enable the use of low-cost ultrasound equipment in a broad range of clinical contexts by relatively less-experienced medical personnel. We work on a variety of interactive web and mobile applications, which span from platforms that run semi-automated image analysis tasks to software that supports Q-Review of segmentation and registration results. These applications work on iOS and Android platforms. They not only leverage our expertise in medical image visualization, but they implement our high-quality software process and data management technology. 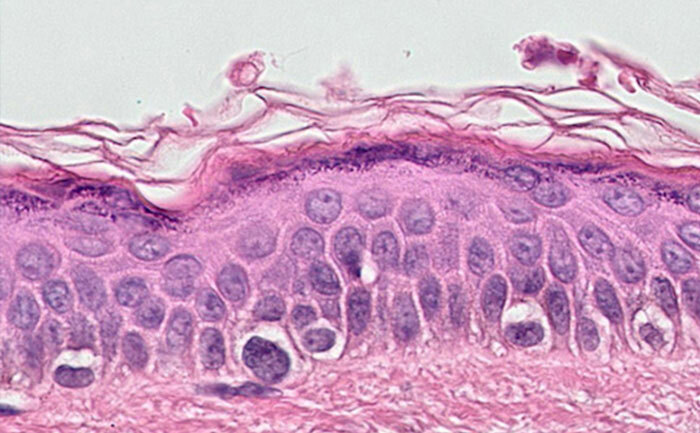 The open source digital pathology software we support offers remote collaboration on a variety of devices over standard networks. While initially targeted to pathology applications, we can readily adapt this infrastructure to other uses in medical visualization. 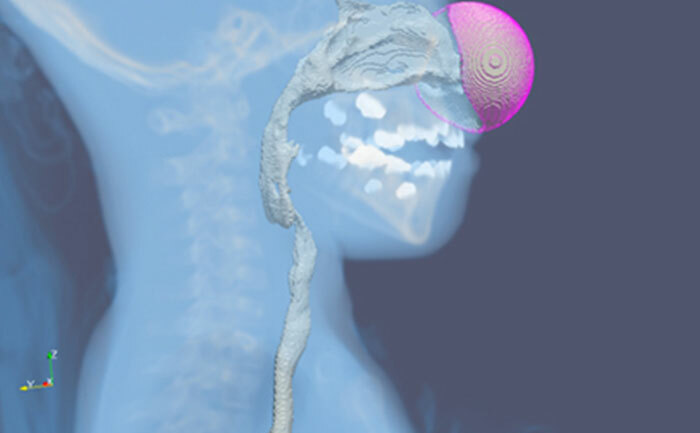 Our methods to quantitatively explore diseases and the conditions of the craniomaxillofacial (CMF) complex aim to improve early diagnosis, treatment planning, and outcome monitoring. Additional methods analyze bony structures in the skull from computed tomography images. 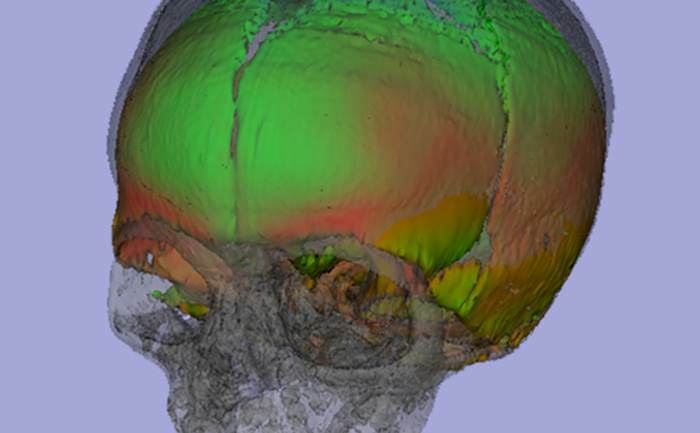 We also design quantitative protocols to improve cranial reconstruction and orthognathic surgery. The Insight Toolkit (ITK) is a software development solution for medical image processing, segmentation, and registration. 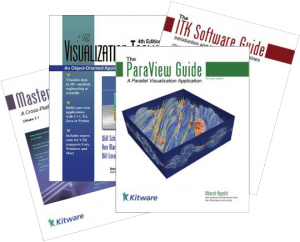 ITK is a library of segmentation and registration imaging algorithms tailored for medical investigations. The toolkit supports a variety of imaging data formats. 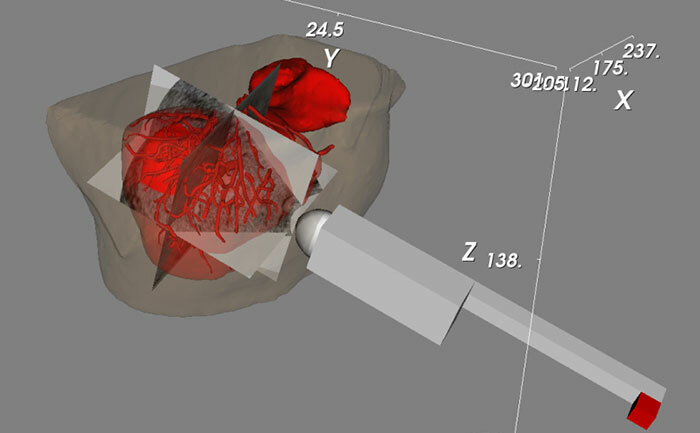 3D Slicer is a medical image computing and visualization application. 3D Slicer works with optical imaging, MRI, CT, and ultrasound data. We have applied 3D Slicer to a range of research and commercial applications. The Pulse Physiology Engine has an explorer with models for anaphylaxis and multi-trauma. The engine also contains physiological systems and a common data model. The interactive Medical Simulation Toolkit (iMSTK) provides developers with software for making virtual simulators for medical procedures, including biopsies, resectioning, radiosurgery, and laparoscopy. We have over 350 publications on topics such as surgical simulation, medical image analysis, structural shape analysis, and ultrasound image systems. These publications show up in leading conferences and journals.